Athlete or not! We all Quit (yes, we do)! Let’s Agree to Disagree? As a runner myself, I do know the meaning of quitting! Exactly the reason there are so many inspirational quotes on ‘Not Quitting’, especially for people who are pushing their limits every now and then – both in Sports and Life! Mental burnout has happened to many of us. You probably have dealt with it in your own way. I did an article on Mental Strength a while back. And then there is another one here. But as I (blog more and more) dive myself into reading about athletes and see many of my friends take a back seat from running every once in a while and watch many of them quit too – I wanted to know how does a COACH – deal with students with Mental Burnout? Making running plans is easy, easier still is running with your mentee but what about the tiring psyche of your athlete? 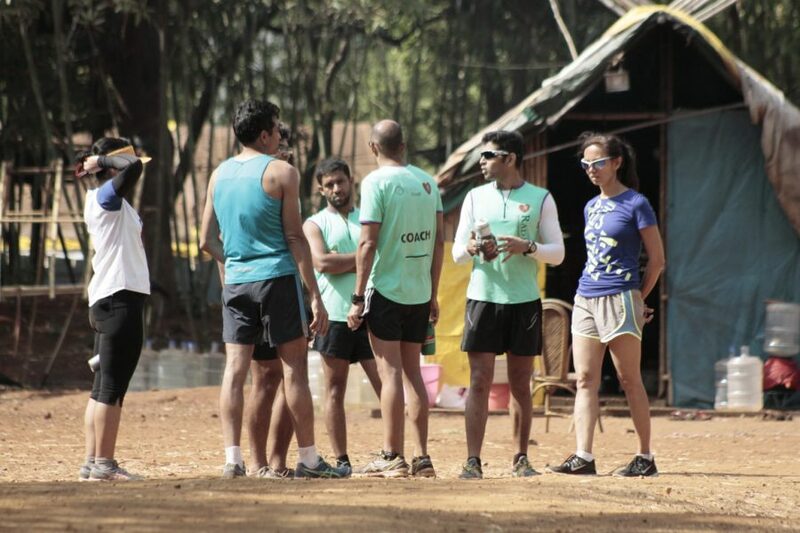 The guest blogger here is Dr. Kaustubh Radkar, India’s first Ironman certified Coach. Kaustubh is an Ironman all the way and there’s a big reason he is known as the poster boy of Ironman triathlon in India. Starting from 2008, he has done 17 others all over the world.. Also amongst handful of people who have finished an Ironman on all 6 continents. He is also only person living in India to qualify for the Ironman world championship in Hawaii on october 14th, 2017. He was the fastest Indian at Comrades ultramarathon in 2016. Fact based accolades apart, Kaustubh is the founder & CEO of RadStrong coaching, they offer specialized coaching for running, triathlons and overall fitness. Dr. Radkar also is the founder & CEO RadRx Pune based company that specializes in rehabilitation for people post heart disease and cancer, and sports medicine. In his very own words, Dr. Radkar talks his perspective as a Coach on Mental Burnout and Why Athletes Quit…. A lot of times, the first meeting with an athlete is an important one for me as a coach. I will ask routine health history questions such as their age, any injuries, risk factors etc., but then throw a couple curve balls. These curve balls are essential in reading a trainees mindset. A lot of people join RadStrong Coaching to better themselves, some join to improve their fitness, but a lot more come with the goal of either bettering their time in a certain event or distance and/ or getting to the next level. As more people take up running as a sport in India you are also seeing an increase in number of people quitting the sport for various reasons. Why do athletes quit? There are a lot of factors or stresses we can say that cause athletes to leave the sport either for some time or completely. Improper coaching that leads to burnout is one reason; not seeing improvements as expected another, similarly training injuries is another major cause. In this blog we will address the one big factor that results in athletes quitting:mental burnout. Let’s get the basic what is mental burnout? Simply put mental burnout is a syndrome where athletes are frustrated due to continuous training; typically cause by stress associated with workouts or external stresses those result in over training, or injuries and eventually dropping out or quitting from the sport. Understand that although this seems straight forward it’s not easy to diagnose. Let’s take an example: we had an athlete who was typical type A personality, always on the go, high achiever, stressful life, over period he started showing signs of fatigue, his training patterns showed workouts either intense than what prescribed, or much lower than what was told. After observing him we had a talk, where we sat and it became clear what was meant to be helping had started to get to him. So we had a discussion on realigning priorities, a lot of times with amateur athletes this is the most honest and truthful discussion a coach should have, and I assure you it’s not easy to do this. Long story short, our hero then finished Ironman in flying colours and is now taking look at his next big target. What worked for our athlete was the simple changes in both workout routine, and also specific pointers on how he can stay motivated to achieve his goals. Sometimes people come to you at a low stage in their athletic career, their confidence is down, and they are impacted by social media etx. We had one athlete who came in similar state, even the shortest runs felt like an effort, we advised him to take time off and come back when your batteries are recharged. It’s essential sometimes, to get a breath of fresh air as an athlete, sure enough slowly he realized his mental fatigue dissipated, and he wasready to get back into action. Now here is the KEY factor, this is the most crucial, we knew this person would want to come back to the level he was before, and had to be handled properly. For this athlete planning their progression in proper manner was the key. So we used a lot of cross training, to limit their boredom, or just having an enhanced focus on just running, which paid dividends that not only did our athlete crack his running race, he also developed a keen interest in triathlons. There is no magic formula to understand the mental burnout barometer, the point I stress is that just like in life, your athletic career will also have ups and downs. You will have to ride the rollercoaster here as well, be patient during the lows and ride the highs. So what’s the best way around? 5) Most importantly remind yourself it’s not your profession or day job, so have fun while you’re at it. “The rewards are going to come, but my happiness is just loving the sport and having fun performing.”– Jackie Joyner Kersee.